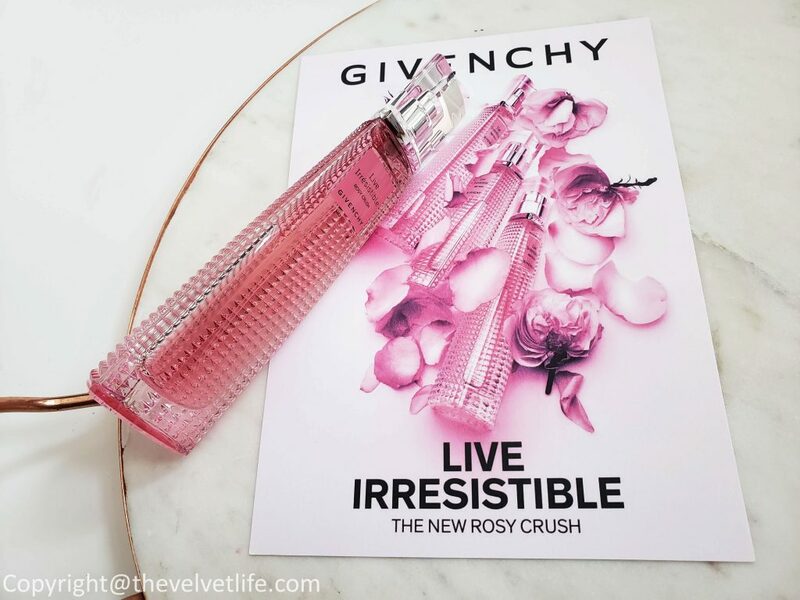 Givenchy Live Irrésistible Rosy Crush is a new vibrant floral fragrance for women who live irresistibly in the moment and embrace the power of pink. It is a new fragrance launched just in time for Spring, the packaging and the scent is all about the fresh new energy we experience as the weather changes. It brings with it -new life, new beginnings, and more experiences. Adorned with the Givenchy House’s trademark studs enhanced with a luminous pink hue, the slender facetted bottle looks so fresh and modern. 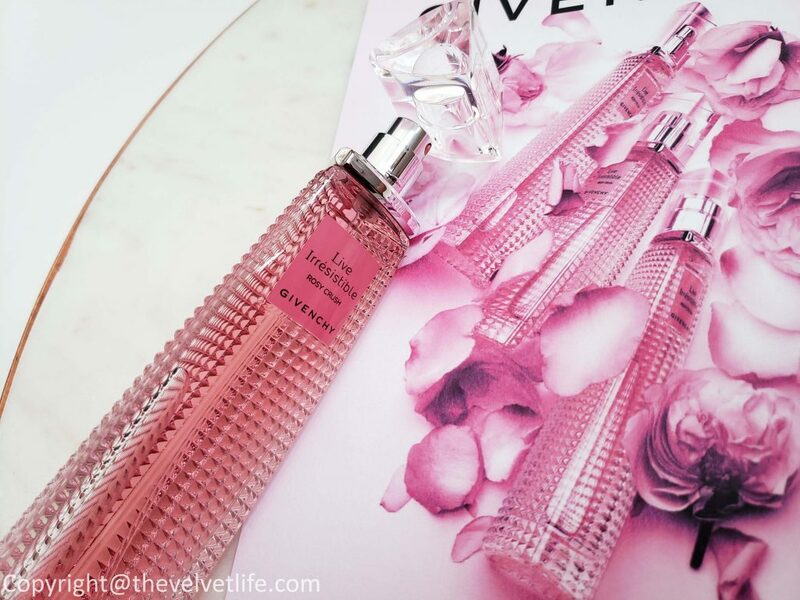 Live Irrésistible Rosy Crush is a confident explosion of pink freshness and bold vitality. A vibrant floral, bursting with rose and vivacious pink pepper. Goji berries and chypre-patchouli blend youthful vivacity with elegant sophistication. A bouquet of pink rosiness in many shades. Because pink is audacious, poetic and pure; pink is a positive state of mind. The nose behind the fragrance is Dominique Ropion and Fanny Bal. The rose for me is not a sweet candy-like rose, but more of a creamy rose which is clean, soft, and delicate. The scent overall is nice – fresh, juicy, fruity in the sense of citrusy, rose peony. It is going to be great for summer. Hudson’s Bay, Shoppers Drug Mart, and Sephora.